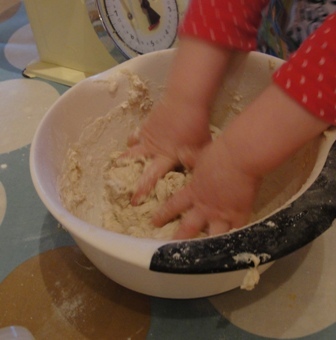 We've been enjoying bread making at home, & yesterday we thought we'd try our hand at making some Easter Bunny Bread! 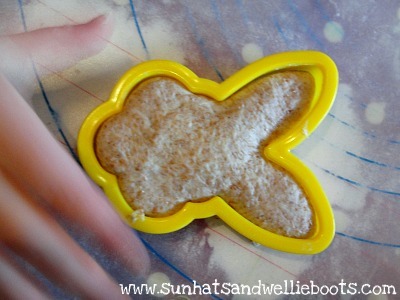 The recipe we followed was so quick & easy, just perfect to make with toddlers who like quick results, & the finished product was delicious too! 4. 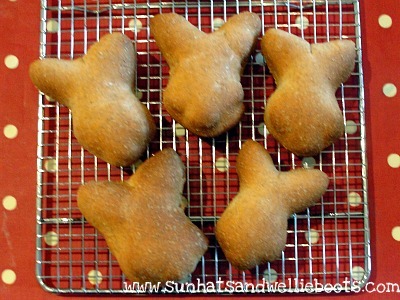 Using the bunny cookie cutter cut out as many rolls as you wish. 6. Cover with a clean damp cloth & leave to rise somewhere warm for 25mins. Once our bread had been cooked & cooled someone couldn't wait to sample it! 10 out of 10 was her verdict, & I think I'd have to agree. 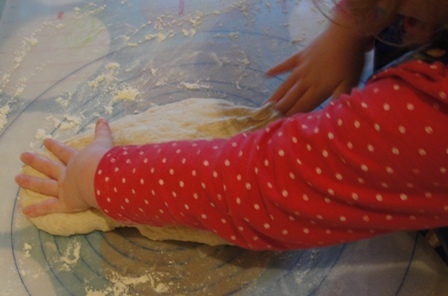 We'll definitely be using this Doves Farm recipe again as the rolls were delicious & so quick & easy to prepare. 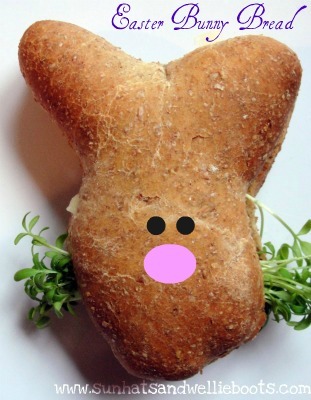 Easter Bunny Cress along with some cheese, ham, or egg! Happy baking & happy munching!